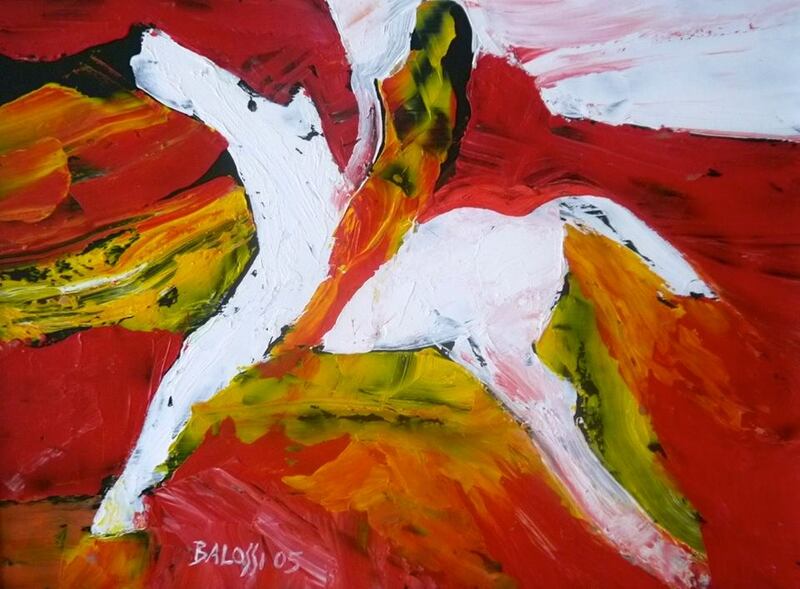 If you take the time to study the art career of John Balossi you will see that he had a big love for horses. 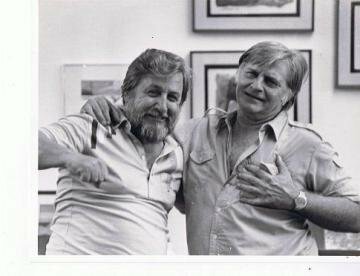 He made sculptures, watercolors, serigraph and painting all based on them. This small red 12 x 16 painting is from 2005, acrylic over wood panel and is a very good example of a work by him. He dedicated a long part of his career in mastering this simple but beautiful style, needless to say any good collector can vouch that, if ever investing in a John Balossi painting this is the style to buy. There are many watercolors in the market and hundreds of silkscreens for sale, yet works in Canvas and Wood Panel are extremely hard to find for sale at the open market and even harder with a solid provenance. You can not rule out that there are many false works on the market, and this tend to happen with premium artist who develop international respect. 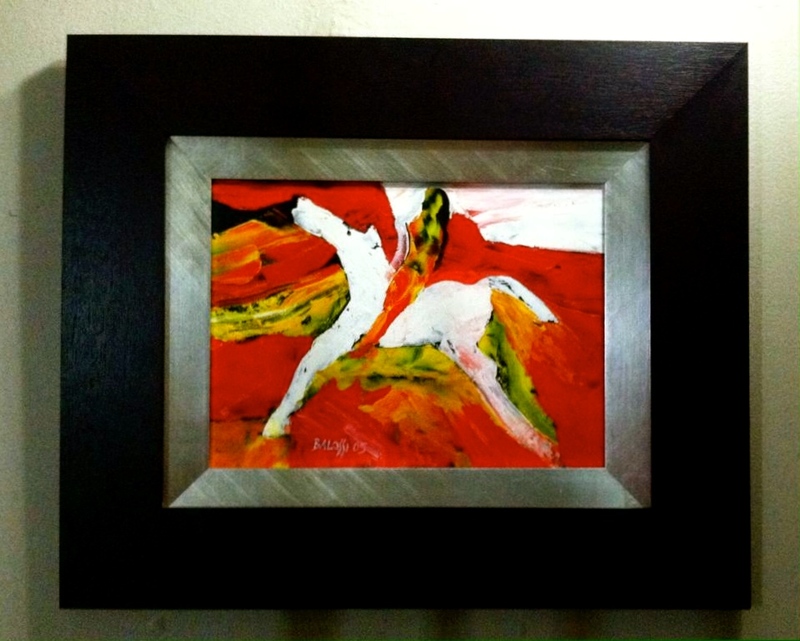 The red background make a special effect on the center composition of the white horse. It has all of the typical element found in the majority of his work, the horse. The work is done at a fast speed, complexity is near zero in this painting but the selection of colors that Balossi therefore selected in this 2005 painting was EXCELLENT. The red background with yellow and black overlaid with the center white horse, amplifies and doubles the intensity of the composition in this case is the woman rider on her horse. Works with solid provenance can still be purchased directly from the Balossi family, or in galleries like the one at the Museo de Arte in San Juan Puerto Rico.